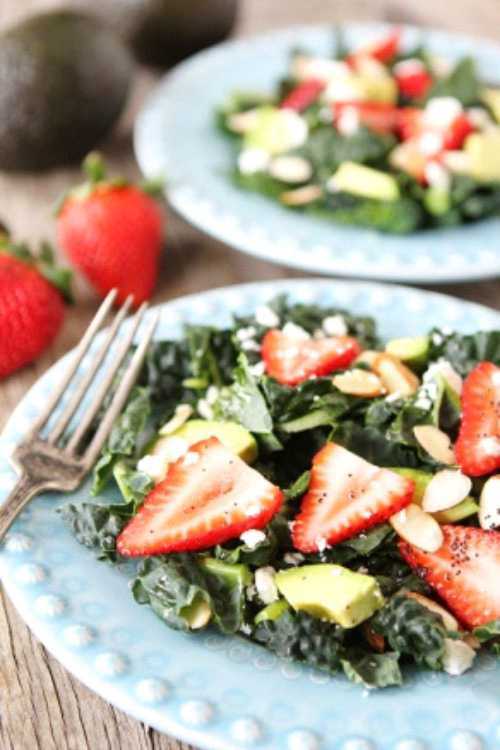 Combine kale, strawberries and avocado in a large bowl and set aside. Cook the bacon until crisp. Crumble the bacon into small pieces and whisk together with the Paleo mayonnaise, honey, vinegar, and salt. Toss the dressing and salad together to serve.